Another two weeks, another five books. First up, LIKE MAGIC by Elaine Vickers. I've "known" Elaine online for awhile and then I happened to randomly pick a table at Storymakers for lunch and there she was! She is as lovely a person in real life as online, and her book was just as beautiful. LIKE MAGIC is a middle grade story of three different girls. I loved their different stories and how they interwove together. It was such a sweet story and I'll definitely pick up another story by Elaine! Next up, ATTEMPTING ELIZABETH by Jessica Grey. This was a cute Pride & Prejudice variation, both modern and regency. There were things I loved about it (really funny) and things I didn't (the groundhog-day-esque repeat scenes, the very fast love). Also, some mistakes, but it was good enough for me to read to the end and I enjoyed the story. BABE IN BOYLAND by Jody Gehrman. This book was like reading an alternate SHE'S THE MAN. I love that movie and I loved this story. Cute, fun, funny, great voice, and perfect ending. Predictable, but that's okay. The main thing that knocked down my star rating was two uses of the R-word. Yikes. CAPTAIN OF MY HEART by Danelle Harmon. I picked this historical story up for free on my Kobo, probably from BookBub or something similar. I wasn't expecting to like it and was pleasantly surprised. The writing is stellar and the story great. My only complaint was length. It felt way too long at times, certain scenes could've been cut, and things could've happened a lot faster in my view. Otherwise, a great story by an author who knows her stuff. 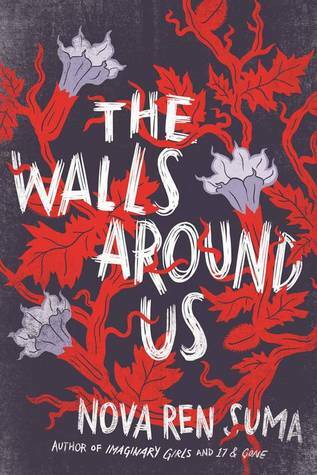 Yesterday and today I read THE WALLS AROUND US by Nova Ren Suma, a magical realism novel, which isn't my favourite genre. This book? Wow. It's the kind of book I'm glad I read because, whoa, but I will never read again because, whoa. Excellent voice, super disturbing and sad and haunting, and... whoa. So yeah, if this is your type of thing... well, you've probably already read it, otherwise get on that right now. Because whoa.